This template is best showcased on a digital menu board placed at the entrance of the restaurant and indoors. Digital signage technology today enables the restaurateur the facility to update and monitor the content from a single admin system. 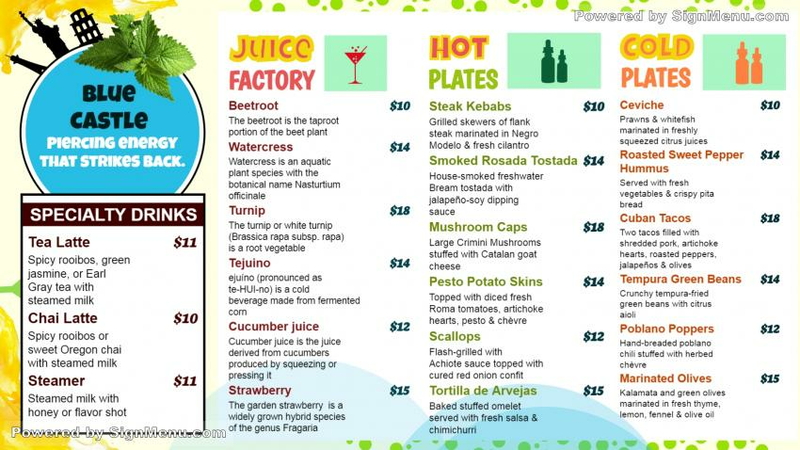 This template provides a benchmark for his actual menu board and is ready for download and use.